Terminal Unit Sound Control – BRD Noise and Vibration Control, Inc.
Air terminal unit Radiated Sound Power baseline data is reported per the AHRI-880-2011 standard. The HUSHCORE Premium System removable acoustical wraps are designed to attenuate the radiated transmission path. Acoustical product testing which most accurately predicts how directly lagged HUSH FLEX panels will perform in this application is outlined in standard ASTM E-1222, “Standard Test Method for Laboratory Measurement of the Insertion Loss of Lagging Systems”. Typical reductions of radiated sound are 4 to 6 dBA. Two styles of panels can be utilized depending on the return air path utilized on the project. If the units have ducted returns, the HUSH FLEX™ product PWN-250 can be used. If the units have open plenum returns, a higher flammability/fire rating is recommended. HUSH FLEX™ product PWA-500 has a Class “A”/1 rating per ASTM E-84 flammability test procedures. Air terminal unit Discharge Sound Power baseline data is reported per the AHRI-880-2011 standard. It is important to require all air terminal manufacturers being considered for the project to submit data to the 2011 Revision which requires discharge sound power levels to include duct end reflections in their data. These calculated correction factors are highest for low frequency octave bands and smaller equivalent duct diameters. Data reported to the 2011 version will be higher than before for the same unit even though sound output has not changed. HUSH DUCT silencers are designed to attenuate the discharge noise transmission path. HUSH DUCTS are tested per standard ASTM E477 “Standard Test Method for Laboratory Measurements of Acoustical and Airflow Performance of Duct Liner Materials and Prefabricated Silencers”. Typical reductions of discharge sound are 5 to 10 dBA depending on the terminal box sound spectrum, velocity and tolerance for backpressure. It is recommended to locate the first branch take-off a minimum of three equivalent duct diameters downstream of the HUSH DUCT outlet. 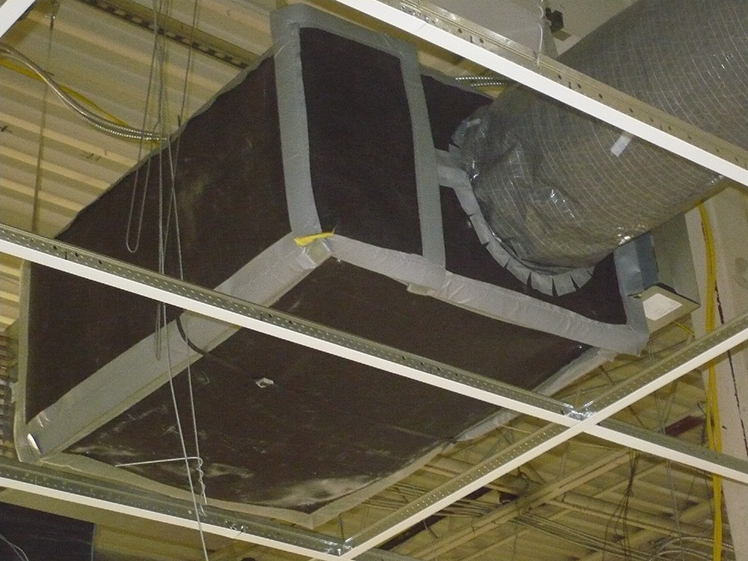 Air terminal units such as Fan Powered VAVs and Water Source Heat Pumps utilize open return or dual inlet configurations requiring sound attenuation not addressed with the Premium System cabinet jacket wraps. 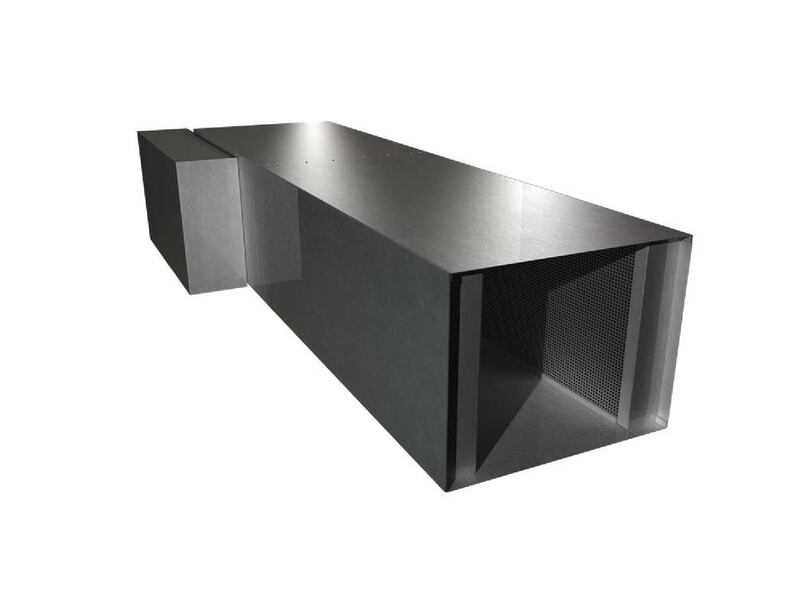 At a minimum, the silencer insertion loss as reported per standard ASTM E-477 “Standard Test Method for Laboratory Measurements of Acoustical and Airflow Performance of Duct Liner Materials and Prefabricated Silencers” must be equal to the cabinet wrap performance. Some unit manufacturers offer integrated plenum style inlet sound attenuators. Typical reductions of inlet sound using OEM and third party silencers are 5 to 10 dBA depending on the unit sound spectrum, air velocity and tolerance for pressure loss. Silencers can be selected to achieve target NC levels in the occupied space. 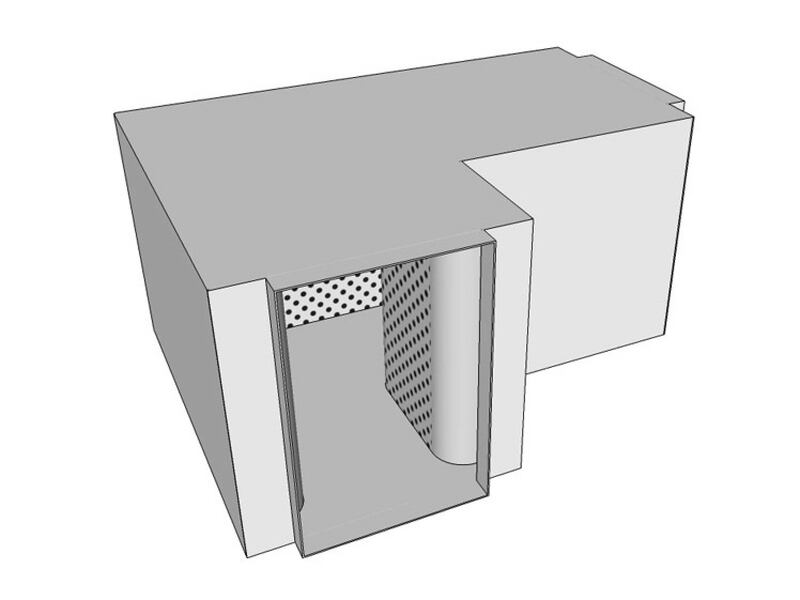 Typical pressure loss for HUSH DUCT™ silencers is 0.10” to 0.20” with recommended velocities of 500 FPM or less. We are committed to exceeding the needs of our customers. We provide quality products, exceptional service and innovation in all aspects of our operation. BRD Noise and Vibration Control, Inc.
© 2016 BRD Noise and Vibration Control, Inc. All rights reserved.